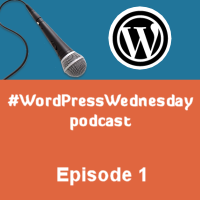 As promised in my #WordPressWedneday roundup series, I’ve decided to create a special series on the Blondish.net Podcast, just for WordPress. It’s also called… The #WordPressWednesday Podcast. I’m not separating the podcast, I’m just giving it’s own series. That being said, this podcast is meant to be informative and entertaining at the same time. It will totally be focused on WordPress. I’m working on a better microphone, web cam and more so the video part is a little more interesting than a placer image. Sound quality should be great, but until I get a chance to hook up the new equipment, this will do. My biggest goal with this series, is to start back up with podcasting and keep it steady. 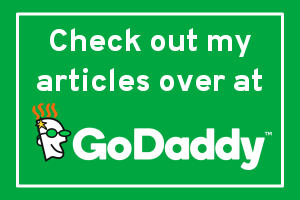 It’s also to finally fit in a series dedicated to WordPress as majority of other podcasts that weren’t presentations, were dedicated to other subjects on my site. 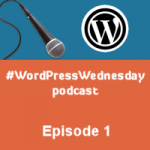 This special #WordPressWednesday podcast series is meant to be published on… you guessed it… Wednesdays. Because it’s the beginning of the series, it’s just me. In the future, I may reach out to other guests from time-to-time. Just a note: Please don’t install all of the security plugins and 2-factor authentication plugins together. Try each out, and then pick one from each. I know someone will #installallthethings. Disclaimer: I’m not affiliated with any of these plugins, nor by mentioning any, have I received any endorsements. Great post,I think this is very helpful to me,actually am also using WordPress website but i don’t no this podcast..Thanks for updating us.Keep sharing. wonderful post you have shared here and your works is very dedicated for me and thanks a lot for further.